Not necessarily. Most new skates are left with a rough edge or plastic coating to prevent rust or damage during shipment or storage. New or used skates are also not profiled to the skater. To reduce risk of injury and to ensure your skates will provide you with proper control and maneuverability you should have them checked for proper profile and alignment. 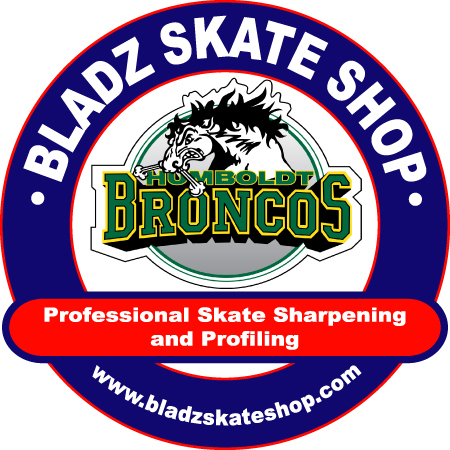 Proper sharpening, blade mounting, alignment and profile determine the skater’s centre of gravity, body posture, body compensations and physical stress. All of these factors affect a hockey player’s skating style, speed, stops, starts and stick handling, as well as a figure skater’s jumps and landings. What Is A Skate Profile? The best way to describe a skate profile is the steel’s radius from end to end. A profile determines a skater’s center of gravity, body posture, body compensations, and physical stress. All which affect the skating style, speed, stops, starts and the hockey player’s stick handling and shot, as well as a figure skater’s jumps and landings. Most skates have no profile at all. Very few skates come with a generic profile that may not be suited for the size of that particular skater. What Is The Best Skate? We get asked this question every day. The best skate on the market is…….The most comfortable skate for you! Yes. There are repairable and unrepairable skates out there. Both can possibly lead to injury due to body compensations and added physical stress to the lower limbs and back. Unrepairable skates cannot be repaired due to tips in the sole that could lead to misalignment of the body. Repairable skates can be repaired if the blade needs to be aligned to the center of the boot. But here is a question….Why would you have to repair brand new skates? Yes. There are all kinds of sport sole orthotics. If you think you need orthotics and your local sports store insoles such as super feet, etc. cannot solve the problem, consult your doctor to see if you require skate orthotics. Is It Ever Okay To Walk On Bare Blades? No, do not walk anywhere on bare blades. Use your skate guards even on rubber matting. Grit and dirt on matting can cause your edges to break down prematurely. 20% of blade damage occurs off ice. Nothing will enhance the life of your sharpening as adhering to this one simple rule. How Can I Properly Take Care Of My Skates? Don’t leave your skates in a car or unheated garage. Bring them inside. Water and moisture from condensation expands when frozen and will damage holders, boots and cause blades to rust. If you have plastic guards, remove and clean them. Wearing skate guards to the player bench will extend the life of the sharpening. How Can I Find The Size Of My Skate Blades? If you’re looking to buy replacement blades for your skates and are unsure about the size of blade that you need to buy, simply remove your existing skate blades. At the top of the blade (where it connects to the skate) you will see a 3 digit number starting with either 2 or 3. This is the size of the skate blade. 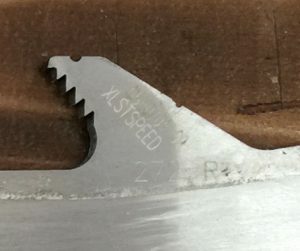 For the skate blade below, you would need to buy size 272 replacement blades.